How people succeed - and how you can, too. ***Sunday Times no. 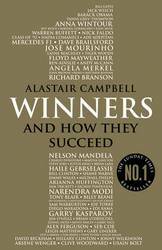 1 bestseller*** Alastair Campbell knows all about winning. As Tony Blair's chief spokesman and strategist he helped guide the Labour Party to victory in three successive general elections, and he's fascinated by what it takes to win. How do sports stars excel, entrepreneurs thrive, or individuals achieve their ambition? Is their ability to win innate? Or is the winning mindset something we can all develop? Drawing on the wisdom of an astonishing array of talented people - from elite athletes to top managers, from rulers of countries to rulers of global business empires - Alastair Campbell uses his forensic skills, as well as his own experience of politics and sport, to get to the heart of success. He examines how winners tick. He considers how they build great teams. 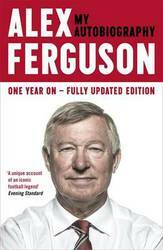 He analyses how they deal with unexpected setbacks and new challenges. He judges what the very different worlds of politics, business and sport can learn from one another. And he sets out a blueprint for winning that we can all follow. The use of non-secular, religious, concepts in contemporary managerial discourse to legitimise leadership, organisation and work has been undertheorised. Concepts such as organisational soul, Spiritual Leadership, a wider deification (and demonisation) of leaders, and the mantra of individual freedom each evoke long religio-historical roots. 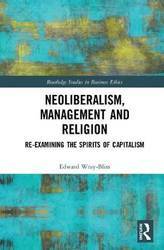 The deployment of such terms in the present to (re)enrol people into the service of capitalism speaks both to high levels of religious belief worldwide and, more specifically, to a history of religion intersecting with public life in the US-a context pivotal in the development and dissemination of managerialism and wider neoliberal discourse. Organised around the concepts of Gods, Devils, Soul and the Individual this book will show how these concepts are being employed in current managerial, leadership and organisation discourses, critically examine the religio-historical and philosophical roots of such, and demonstrate how the religio-historical and religio-philosophical can be brought into the lexicon of critical organisational scholarship to provide a language to engage with the non-secular legitimation of capitalism and its institutions. 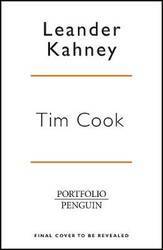 In so doing, this book is a timely addition to organisation and management theory. It comes at a time that is witnessing a wider `theological turn' in continental philosophy, mounting calls within organisation studies to `take religion seriously', and an ongoing legitimation crisis of neoliberalism, one that is raising pivotal questions concerning how neoliberalism endures despite the deprivations and harms it occasions. This book is intended to be engaging and erudite, drawing upon a trans-disciplinary combination of popular and academic management texts, contemporary and classical philosophy, literature and religio-historical sources foundational in the construction of the Western subject. Every day, people around the world make financial decisions. They choose to invest in a stock, sell their holdings in a mutual fund or buy a condominium. These decisions are complex and financially tricky-even for financial professionals. But the literature available on financial research is dated and narrowly focused without any real practical application. Until now there's been a gap in the literature: a book that shows you how to conduct a step by step comprehensive financial investigation that ends in a decision. This book gives you that how. 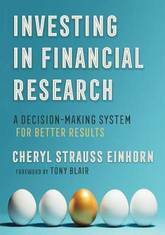 Investing In Financial Research is a guidebook for conducting financial investigations and lays out Cheryl Strauss Einhorn's AREA Method-a research and decision-making system that uniquely controls for bias, focuses on the incentives of others and expands knowledge while improving judgement-and applies it to investigating financial situations. AREA is applicable to all sorts of financial sleuthing, whether for investment analysis or investigative journalism. It allows you to be the expert in your own life. The AREA Method provides you with: -Defined tasks that guide and focus your research on your vision of success; -A structure that isolates your sources, giving you insight into their perspectives, biases and incentives; -Investigative resources, tips and techniques to upgrade your research and analysis beyond document-based sources; -Exercises to foster creativity and originality in your thinking; -A sequence and framework that brings your disparate pieces of research together to build your confidence and conviction about your financial decision. From the bestselling author of A More Beautiful Question, hundreds of big and small questions that harness the magic of inquiry to tackle challenges we all face--at work, in our relationships, and beyond. When confronted with almost any demanding situation, the act of questioning can help guide us to smart decisions. By asking questions, we can analyze, learn, and move forward in the face of uncertainty. But questionologist Warren Berger says that the questions must be the right ones; the ones that cut to the heart of complexity or enable us to see an old problem in a fresh way. 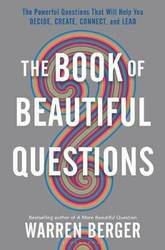 In The Book of Beautiful Questions, Berger shares illuminating stories and compelling research on the power of inquiry. Drawn from the insights and expertise of psychologists, innovators, effective leaders, and some of the world's foremost creative thinkers, he presents the essential questions readers need to make the best choices when it truly counts, with a particular focus in four key areas: decision-making, creativity, leadership, and relationships. The powerful questions in this book can help you: - Identify opportunities in your career or industry - Generate fresh ideas in business or in your own creative pursuits - Check your biases so you can make better judgments and decisions - Do a better job of communicating and connecting with the people around you Thoughtful, provocative, and actionable, these beautiful questions can be applied immediately to bring about change in your work or your everyday life. As communication and leadership skills are both essential for personal and organizational success, new approaches and management styles are continuously being sought. Emerging technologies, automation opportunities, and a diverse workforce are just a few of the challenges business professionals must be prepared for in today's workplace environment. 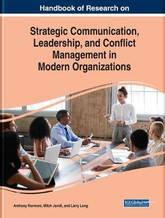 The Handbook of Research on Strategic Communication, Leadership, and Conflict Management in Modern Organizations provides emerging research exploring the theoretical and practical aspects of managing and solving conflicts, and introduces updated approaches for refining communication and leadership skills. 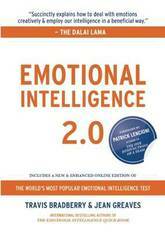 Featuring coverage on a broad range of topics such as emotional intelligence, organizational crises, and virtual team management, this book is ideally designed for professionals, leaders, managers, and human resource specialists seeking current research on developing the skills and consciousness needed to effectively communicate, negotiate, and collaborate in diverse organizations. Research shows that successful businesses are those where employees are really engaged. How do they achieve this? Complex organisation initiatives or something more personal? In today's world of work, with all its jargon, processes, KPIs and technology we have forgotten a simple truth: the power of authentic, two-way, human conversations. This book, now in its 2nd edition, comes from over 30 years of learning from world-class organisations, tried-and-tested leadership coaching techniques and emergent thinking on neuroscience and employee behaviour. 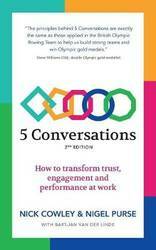 The result is a simple guide to why, when and how to hold five critical conversations with people you manage, which have been proven to dramatically improve trust, relationships, motivation and performance at work. 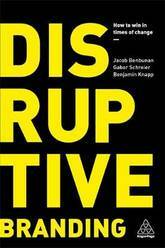 Disruptive forces have rewritten the rules of business. In an age of continuous change the strength and authenticity of brands has become more important than ever. The organizations that can master their brand experience are able to survive disruption by disrupting themselves; companies that can't do this will leave themselves ripe for disruption. Disruptive Branding is a practical guide, demonstrating how to harness change to power your brand's survival and ensure growth in a transforming world. It will help ambitious, courageous and aspirational organizations to define their compelling brand strategies, design powerful brand experiences and innovate new brand-led products and services. Disruptive Branding tells the stories of businesses that have succeeded in managing the forces of disruption. From Nintendo fighting off its competition by re-imagining gaming, to Airbnb redefining what it means to travel, modern day brands are thinking faster and smarter than ever before. This book identifies the strategies and designs that some of the world's most successful brands use to stay one step ahead of the curve. It is an invaluable resource for brands working to withstand disruption - or even become disruptors themselves. 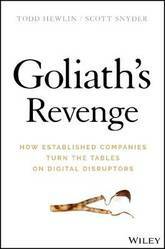 Harness your company's incumbent advantages to win the digital disruption game Goliath's Revenge is the practical guide for how executives and aspiring leaders of established companies can run the Silicon Valley playbook for themselves and capitalize on digital disruption. Technologies like artificial intelligence, robotics, internet of things, blockchain, and immersive experiences are changing the basis of competition in every industry. New competitors are emerging while traditional ones are falling behind. Periods of intense change provide remarkable opportunities. Goliath's Revenge delivers an insider's view of how industry leaders like General Motors, NASA, The Weather Channel, Hitachi, Mastercard, Proctor & Gamble, Penn Medicine, Discovery, and Cisco are accelerating innovation, building new skills, and disrupting themselves to come out stronger in this post-digital age. Learn how to leverage your company's scale, reach, data, and expertise to launch breakthrough offerings that fend off attackers and secure your position as a future industry leader. Using real success cases and recommendations, this invaluable resource shows how to realign your business model, reset your talent development priorities, and retake market share lost to digital-ready competitors. Drawing from extensive experience in digital transformation, leadership development, and strategic planning, the authors show how established companies can switch from defense to offense to thrive in this new digital environment. Learn the six new rules that separate winners from losers in the age of digital disruption Prioritize your innovation investments to rebuild your competitive moat Employ smart cannibalization to defend your core business Deliver step-change customer outcomes to grow into adjacent markets Reframe your purpose and make talent the centerpiece of your digital innovation strategy Goliath's Revenge is a must-read for business leaders and innovators in small, mid-sized, and large organizations trying to win the digital disruption game. 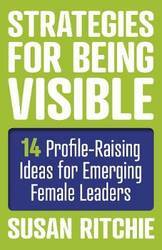 This book helps you reset both your company strategy and professional development priorities for long-term success. The greatest threat we face is not robots replacing us, but our reluctance to reinvent ourselves. We live in an age of wonder: cars that drive themselves, devices that anticipate our needs, and robots capable of everything from advanced manufacturing to complex surgery. Automation, algorithms, and AI will transform every facet of daily life, but are we prepared for what that means for the future of work, leadership, and creativity? While many already fear that robots will take their jobs, rapid advancements in machine intelligence raise a far more important question: what is the true potential of human intelligence in the twenty-first century? Futurist and global nomad Mike Walsh has synthesized years of research and interviews with some of the world's top business leaders, AI pioneers and data scientists into a set of 10 principles about what it takes to succeed in the algorithmic age. 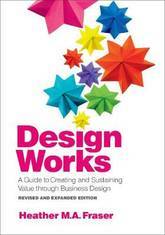 Across disparate cultures, industries, and timescales, Walsh brings to life the history and future of ideas like probabilistic thinking, machine learning, digital ethics, disruptive innovation, and de-centralized organizations as a foundation for a radically new approach to making decisions, solving problems, and leading people. 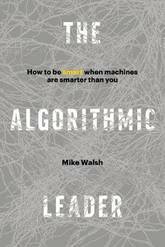 The Algorithmic Leader offers a hopeful and practical guide for leaders of all types, and organizations of all sizes, to survive and thrive in this era of unprecedented change. 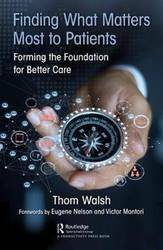 By applying Walsh's 10 core principles, readers will be able to design their own journey of personal transformation, harness the power of algorithms, and chart a clear path ahead--for their company, their team, and themselves. Making the leap to management and leadership In your career, or anyone's, there is one transition that stands out as the most crucial--going from individual contributor to competent manager. New managers have to learn how to lead others rather than do the work themselves, to win trust and respect, to motivate, and to strike the right balance between delegation and control. Many fail to make the transition successfully. 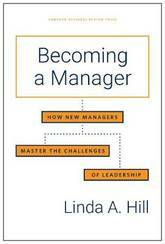 In this timeless, indispensable book, Harvard Business School professor and leadership guru Linda Hill traces the experiences of nineteen new managers over the course of their first year in the role. She reveals the complexity of the transition, highlighting the expectations of these managers, their subordinates, and their superiors. We hear the new managers describe how they reframed their understanding of their roles and responsibilities, how they learned to build effective cross-functional work relationships, how and when they used individual and organizational resources, and how they learned to cope with the inevitable stresses of leadership. Hill vividly shows that becoming a manager is a profound psychological adjustment--a true transformation--as well as a continuous process of learning from experience. Becoming a Manager, a veritable treasury of essential leadership wisdom, is a book you will turn to again and again no matter where you are on your career journey. Leading in the Age of Innovations centres on the need for a more complex process-relational oriented approach to leadership. 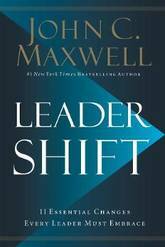 The complexity of leadership has grown significantly during the 21st century where the need to adapt to the escalating changes in our society and workplace forms one of the most important prerequisites to succeed. Leading in the Age of Innovations represents the outcomes of the lengthy scientific work that was undertaken for the past 10 years and it is still an ongoing process. This book introduces a new concept of leadership based on the process and relational dimensions which resulted in the development of the Reflective Leadership concept. The new model of leadership provides a unique concept on how to bring together various disciplines and explains the overlapping relations between them. Moreover, the proposed view on leadership reflects the current evolution around the globe highlighting the importance of change and innovation. In organizations, too much focus is on the end product and the technical details of how a product is made and distributed. Less attention is focused on how people interact, and how the human capacity is effectively supported by leaders who, on the other hand, are expected to support a culture of innovation. This behavioural interaction is governed by a set of predictable values and norms. These relationships need to be understood for an organization to prosper and is thus far more important to the leadership process. 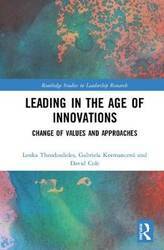 Leading in the Age of Innovations seeks to establish this understanding and will be key reading to researchers, scholars and practitioners alike in the field of leadership, organizational studies and related disciplines. 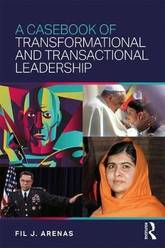 Featuring more than twenty-five case studies of leaders throughout history, A Casebook of Transformational and Transactional Leadership supplements existing texts on transformational leadership and the full range model to promote higher levels of understanding of transformational and transactional leadership behaviors. Beginning with an overview of transformational and transactional behavior components, Arenas describes the original tenets of leadership researchers, demonstrating how practicing the principles of full range leadership can aid those who guide or manage others. 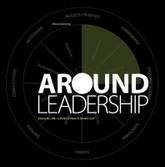 The subsequent chapters examine influential figures from various organizational environments to provide readers with examples that connect with core full range leadership concepts. Finally, each chapter ends with a discussion question, helping to engage students with the material and encouraging further reflection and study. A Casebook of Transformational and Transactional Leadership is essential reading for both graduate and undergraduate students of leadership development, as well as military and non-military professionals in leadership, leadership development, business and management, and education. Blockchain is the technology behind bitcoin and other crypto-currencies. According to Santander, it could save financial institutions $15-20bn a year from 2022 onward. Most experts see an unprecedented potential, but many banks, payment processors and credit card companies fret that bitcoin entrepreneurs could cast a pall over their core business. Whatever the position of blockchain, many voices are shouting from different angles, creating a cacophony of confusion including tech-evangelists, anarcho-libertarians, and industry experts. But while everybody in IT and banking seems to have an opinion on the blockchain, there is little systematic research, no strategic analysis. Blockchain Babel is the ultimate guide to the most disruptive technology to have entered the finance industry in recent years. Blockchain Babel looks at blockchain alongside innovation diffusion, competitive dynamics and management strategy. 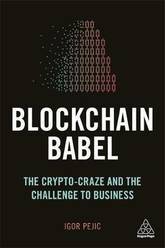 Shortlisted as one of the three best business book proposals by McKinsey and the Financial Times for the Bracken Bower Prize in 2016, this is a must-read for business leaders and aspiring leaders wanting to grasp blockchain and put it into context and understand the practical implications it may have. How many presentations on innovation have there been recently? Thousands? Millions? We are experiencing 'innovation fatigue': we feel cheated by the endless rounds of consultants who come into our organizations, deliver conceptual models that don't stick with the realities of business and then leave again. Companies and teams are left feeling more deflated than before, and with not one idea that's impacted the bottom line. 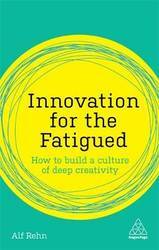 Innovation for the Fatigued argues it is worth fighting for the concept and study of innovation in organizations. Business leaders are always looking over their shoulders for the next Uber moment to overtake them, and they recognize that innovation needs to be a top priority. But how does one innovate? 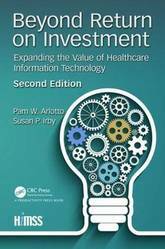 This book is the antidote to the empty promises that pervade the innovation industry. By designing a company culture that nurtures ideas, but also defends against incrementalism and fads, we can rediscover the powerful basics of imagination, empathy, play and courage, which are all instrumental in delivering real impactful innovation. Innovation for the Fatigued will detail where companies have got innovation wrong, whilst celebrating and studying the ones that lead the way. With unique, relatable and varied examples, renowned innovation and creativity professor Alf Rehn provides a practical model for getting innovation back on track, and instilling change at speed with real concern for market demands. Healthcare Workforce Transitioning shares with educators and healthcare professionals alike the awareness, integration, and partnership that results from a successful process of framing a Healthcare Management Program around core competencies. To transition toward a successful healthcare career requires proficiencies in communication, leadership, professionalism, knowledge of the healthcare environment, and business skills. Competencies provide context to curriculum construction and build awareness of the role this standard plays in a career-ready workforce. Integrating professional development and service learning into co-curricular activities further strengthens outcomes. Partnering with healthcare professionals through ongoing World Cafe conversations, contributes a touchstone about expectations and accountabilities to be successful in a career. 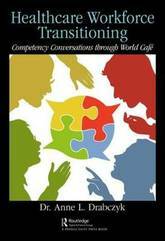 This book draws on the World Cafe methodology, guidelines, and vignettes in developing performance assessment, coaching, training, and performance reviews. 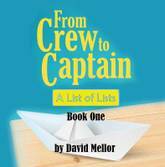 The author provides lessons learned throughout the text to illustrate the points made in the chapters. It also provides a proven participatory methodology applied to competency exploration, application, and authentication. Hundreds of candid quotes from Chinese tech giant Jack Ma that reveal his thoughts on business values, innovation, competition, teamwork, philanthropy, and more. Ever since the Alibaba Group went public on September 19, 2014--with an initial public offering of a record-breaking $25 billion--Jack Ma, the founder and charismatic spiritual leader of the e-commerce behemoth, has been making headlines around the world. Alibaba is now the largest retailer in the world, and since 2015, the company's online sales and profits have outstripped those of Amazon, eBay, and Walmart combined. Recently, Alibaba's cloud computing arm has been outperforming major players such as Google and Amazon, and Jack Ma has been widening its investments into new sectors, such as entertainment and electric cars. Ma--the first Chinese entrepreneur to appear on the cover of Forbes and the third-richest man in China--has a net worth that is estimated to be more than $39 billion. But despite Ma's massive influence in China and in the global tech world, his inspirational rags-to-riches story is relatively unknown to the general American public. 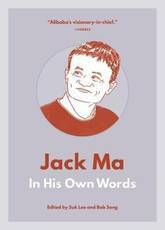 Jack Ma: In His Own Words is a detailed look at the thoughts and words of arguably the most prominent figure in internet entrepreneurship in the past 20 years--made up entirely of Ma's own thought-provoking and candid quotes. Many of these quotes are translated directly from the Chinese press and interviews. For readers who do not read Chinese and have no other access to these materials, this book provides invaluable insight into the mind of one of the world's most successful business magnates. With this book, consultant Patrick Vermeren builds the much-needed bridge between the worlds of academics and consultants and dares to question both himself and the scientific literature while warning against confirmation bias. In a smooth, highly entertaining, and scientifically sound manner, Vermeren communicates knowledge through this book that will excite both consultants and academics. What is a good leadership style? How do executives key in on employee motivation? These are the central questions in the book, which will no doubt be a source of inspiration for managers who want to optimise their leadership style. The first-person account of the family that changed the American retail landscape. Longtime Dollar General CEO Cal Turner, Jr. shares his extraordinary life as heir to the company founded by his father, Cal Turner, Sr., and his grandfather, a dirt farmer turned Depression-era entrepreneur. Cal's narrative is at its heart a father-son story, from his childhood in Scottsville, Kentucky, where business and family were one, to the triumph of reaching the Fortune 300--at the cost of risking that very father/son relationship. Cal shares how the small-town values with which he was raised helped him guide Dollar General from family enterprise to national powerhouse. Exploring three generations of a successful family with very different leadership styles, Cal Jr. shares a wealth of wisdom from a lifetime on the entrepreneurial front lines. He shows how his grandfather turned a third-grade education into an asset for success. He reveals how his driven father hatched the breakthrough dollar price point strategy and why it worked. And he explains how he found his own leadership style when he took his place at the helm--values-based, people-oriented, and pragmatic. 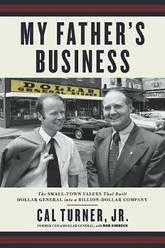 Cal's story provides a riveting look at the family love and drama behind Dollar General's spectacular rise, pays homage to the working-class people whose no-frills needs helped determine its rock-bottom prices, and shares the life and business lessons of one of 20th-century America's most compelling business leaders. Three-time Navy SEAL platoon commander and founder of Perfect Fitness reveals how to put together teams that can accomplish any objective-by leveraging an unexpected set of values and priorities. SEALs and civilians operate in extremely different environments, but what makes both kinds of teams excel comes down to the same thing: service to others, trust, empathy, and a caring environment. Alden Mills has experience working in both the military and the private sector, as a SEAL platoon commander and as a startup founder of Perfect Fitness. He's seen firsthand what it takes to lead an unstoppable team of individuals. 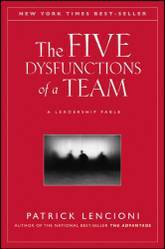 Teams are nothing more than a series of interconnected relationships with a collective, single-minded focus. Success almost never depends on individual talent and valor; instead, Alden Mills shows, it depends, first, on creating a strong foundation for yourself and, second, using that foundation to help others go beyond their individual pursuits and talents to create something bigger and better-an unstoppable team. Unstoppable Teams show managers at every level, at both large and small organizations, including private, public, and nonprofit, how to inspire, motivate, and lead the people around them. 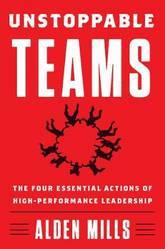 Mills draws on stories from his own experiences to impart these surprising team-building lessons: Too many people mistake groups of individuals for a team. No two people are alike, but we all have the same genetic drivers that motivate us-our will to survive, our ego-driven desire for personal gain, and our soul-driven yearning to be a part of something greater than ourselves. When we override our fears about survival, we can focus on our desire to thrive. The more you care for your teammates, the more they will dare for the team. Great ideas are not reserved for a select few-true teams embrace diversity of thought to find winning ideas. These lessons aren't exclusive to the Navy SEALs; they are used by successful entrepreneurs, nonprofit leaders, coaches, and sport captains-and now you can master them too. Unstoppable Teams is the handbook for how to build care-based teams that will push people to achieve more than they ever thought possible.